A great way to increase your rate of weight loss is to add fat burning foods to your diet. While there may be no food that actually makes fat disappear, there are many foods that make it harder for fat to stick around. 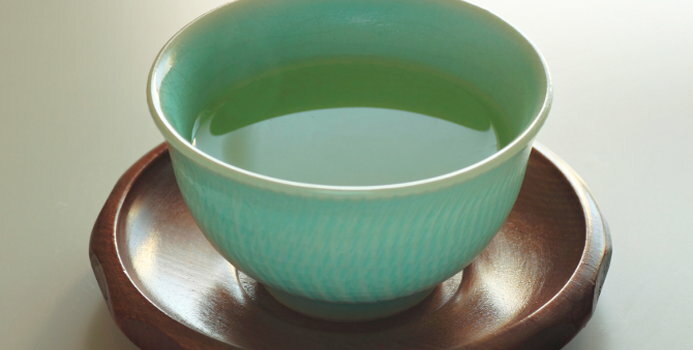 Whether you drink it, take it in a pill, or as part of a supplement, green tea is gaining popularity as a fat burner. Tests have shown that people who consume green tea have a 17% higher fat oxidation rate than those who don't. There is also evidence suggesting the component of green tea, called catechins, keep glucose from entering your fat cells. There was even a study showing that rats who were given green tea, lost their appetitesand consumed up to 60% less food. There are more suspected benefits than just fat burning. Studies indicate that green tea can also reduce the risk of cardiovascular disease and cancer, as well as beneficially impact bone density, cognitive function, dental cavities and kidney stones. In the past, dairy was one of the last places you looked if you wanted to fight fat. But new studies reveal it can be effective in the battle against weight gain. A study done by The National Dairy Council suggest that people who ate 3 servings of low fat dairy daily were able to consume more calories without gaining weight than people who ate one or no servings per day. A study at Purdue University also concluded that those who consumed 3 cups of fat-free milk gained less weight over the course of 2 years than those on low calcium diets. The key might be the high protein content of low fat dairy, which protects and strengthens muscles. This in turn helps keep your metabolism running at a high rate, which allows you to burn fat more effectively. Oatmeal has many properties that aid in fat loss. High fiber and fat burning antioxidants make it a good choice in the morning. Oatmeal's high content of soluble fibers helps flush out bad digestive acids and reduce cholesterol. Another favorable quality of oatmeal is that is an extremely filling food, keeping you fuller longer than most other breakfast choices. Provided you don't ruin the effect with sugar and butter, oatmeal can be a very effective fat burner. Another surprise on the fat burning list is eggs. Although over-consumption of eggs can raise cholesterol, moderate consumption can actually be good for weight loss. Eggs are an extremely filling protein while carrying only 90 calories each. Eggs also contain vitamin B-12, which is a crucial supplement involved in the breaking down of fats. If you're still concerned about egg cholesterol, you can always remove the eggs yolk and still enjoy the health benefits. Moderate consumption of these high protein foods and green tea can help burn unwanted fat faster. The best part is, you probably already have most of them in your cupboard and fridge.